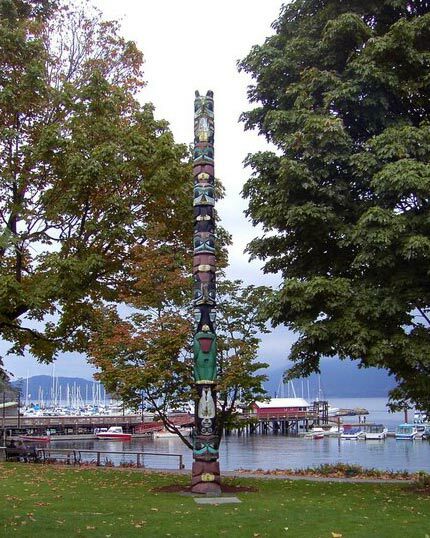 Hollie Bartlett was born in Terrace, British Columbia and is a member of the Haisla Nation. Her family crest is the Killer Whale. After moving to Vancouver, British Columbia Hollie began her artistic career as a photographer for the First Nations newspaper “Kahtou News – The Voice of BC First Nations”. 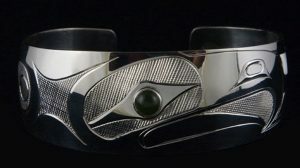 In 1998 she started an apprenticeship with Kwakiutl/Tlingit artist, and master carver, Corrine Hunt. She has also since worked with renowned goldsmith Michael Reynolds. Hollie is best known for her Jewellery. She works in both silver and gold and often combines the two and likes to include stone settings and overlay to give her work added depth. Her distinct presentation is contemporary while still honouring her heritage. She has studied and gained inspiration from work and designs of traditional and contemporary artists. In 2009 the Bill Reid Gallery of Northwest Art included her work in the exhibit “Continuum: Vision and Creativity on the Northwest Coast”.